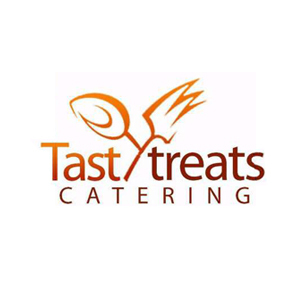 Tasty Treats is a purely Ghanaian restaurant with a variety of tasty local dishes. Located at University of Ghana- Legon campus, it is noted for its popularity among the shakers and movers of the city. No wonder it features on the list of the top 5 local restaurants in Accra. Want to eat good food, then this is the place to be anytime, any day. Tasty Treats has faithfully served us with delicious food for a very long time. Upping their game each and every time they serve us with a feast of carefully local selected cuisines. This is the best place to go if you are looking for delicious and nourishing food, loaded with a staggering variety of local delicacies, you just can’t go wrong with their food. Tasty treats is open seven days a week for breakfast, brunch, lunch and dinner, with menu options including banku and tilapia, fufu with goat light soup, yam and palava sauce, red red with plantain, jollof with shredded beef and many more. The restaurant believes that food should be prepared properly to ensure that no nutrients are lost in the cooking process, and specializes in creating tasty dishes that are delicious and nourishing by using fresh and healthy ingredients. Stop by to try their set menu that changes daily and is available Monday to Friday. Try the fresh fish soup, jollof rice, grilled chicken and fried plantain for a scrumptious feast to share between two or three. Open daily from 10am until late, guests are welcome to stop by for lunch or dinner, as well as drinks. They also have a conducive environment for kids. Parents do not have to bother about the security of their kids while at the restaurant because measures have been put in place to ensure the safety of both people and their belongings in the restaurant.